Sotang is a bustling market center, located east from the Solukhumbu district headquarters of Salleri. Despite its remote location, this is one of the most populous communities in the entire district with 1,288 households and 6,834 people. 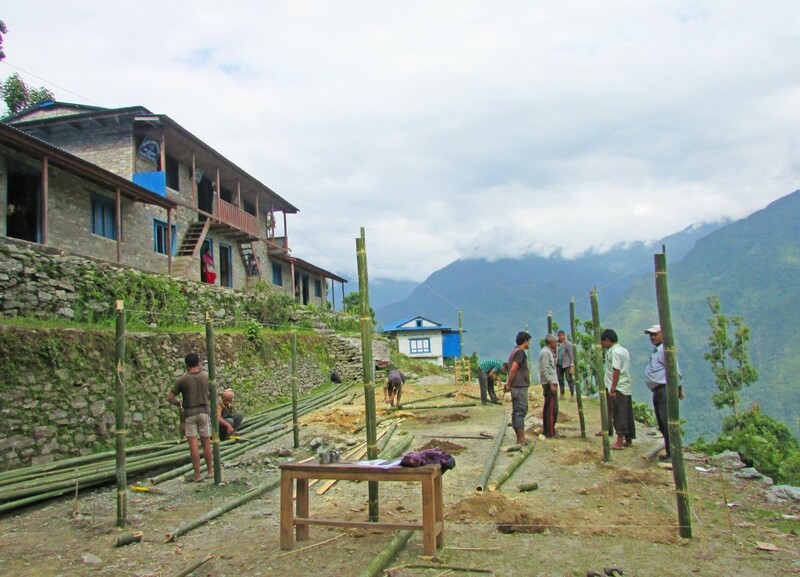 It was also the first of our partner community in Solukhumbu to have road access. It is now reachable through a 10 hour drive from Kathmandu to Salleri in a reasonably good road followed by another 5 hours of drive through bumpy new roads. Over 5,000 people come to buy and sell goods at the weekly hat bazaar in Sotang every Friday. The town also boasts a Government-run health post that treats over 200 patients every day – including many from the surrounding areas. The local Government school just recently started offering Bachelor’s level classes in Education. 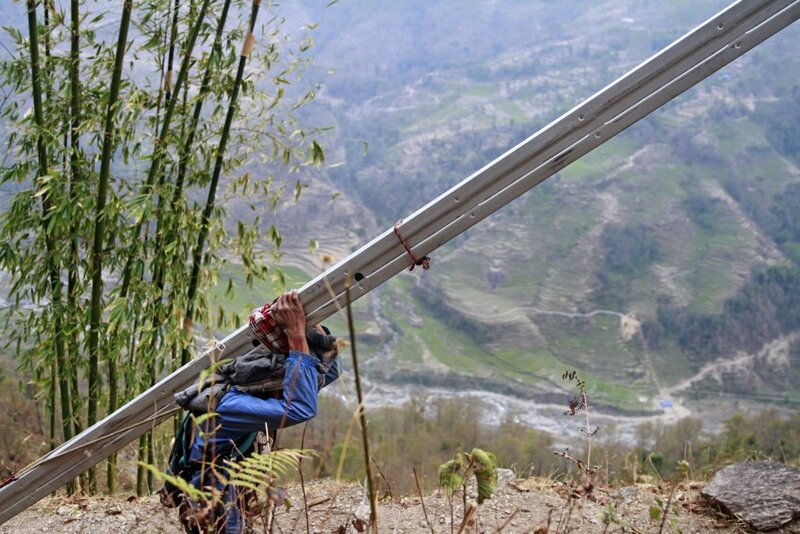 Sotang was also one of the first communities in the area to become electrified through the construction of a sizeable micro-hydro plant on the nearby Rok Khola river. There is currently another hydro project underway in the same area. People from the Hindu Chhetri and Brahmin ethnic groups are the major residents here, however one can find poplulations of Rai, Tamang, Sherpa, Kami and Damai all living together. At the local high school, five distinct languages can be heard spoken by the students. Sotang has two very powerful and famous ‘Devithan’ temples. The Panchakanya temple is believed to grant wishes to devotees, and the Haleshi temple is the second most sacred temple of its sort in the country. Here, twice a year devotees flock with thousands of baby goats to sacrifice to the wrathful Goddess that resides there. dZi has worked in Sotang since 2007 implementing a wide range of projects. 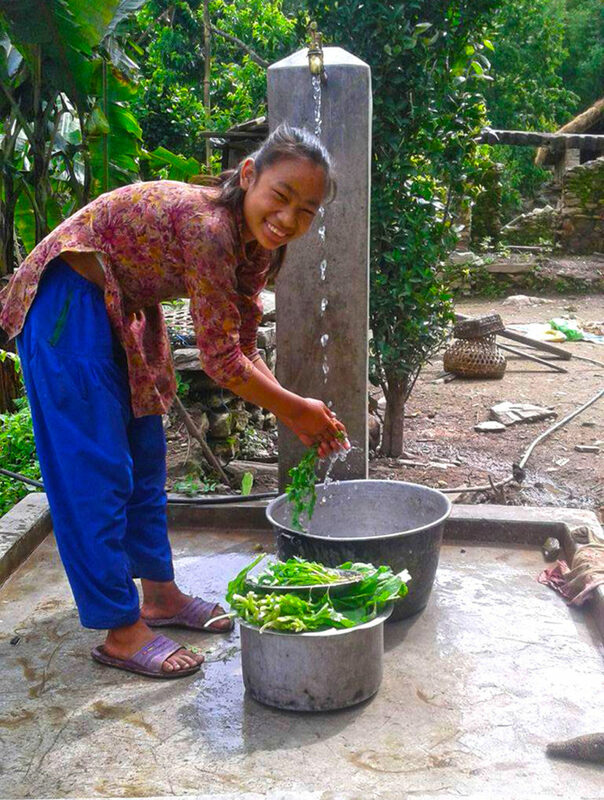 Just recently, Sotang became amongst the first communities in the district to be certified Open Defecation Free as a result of our toilet construction project there. A panoramic view of Sotang in 2018. New roads are visible in all sections of its hillside.